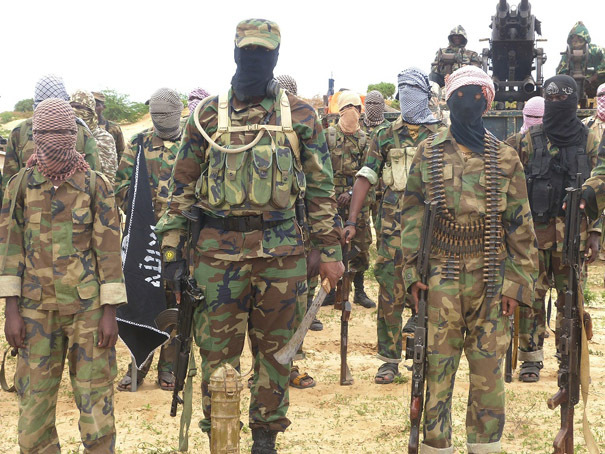 Nairobi – An American extremist in Somalia is fighting former comrades in the al-Qaeda linked Shabaab insurgent group, in what he says may be his final stand, he writes. Alabama-born Omar Hamami – better known as Al-Amriki or “the American” – once fought alongside the hardline Shabaab in Somalia, but last year fell out with the fighters who now want to kill him. He is also wanted by the US government, who have placed a $5m bounty on his head and is listed on the FBI‘s Most Wanted Terrorists list. “We were forced to fight in self defence and killed three and wounded others,” he wrote in a message on Twitter, posted late on Monday. Hamami, 28, moved to Somalia in 2006 and began to work for Shabaab recruiting young trainees through his English-language rap songs and videos, but later split from the main wing of the Shabaab. Last week he claimed a Shabaab gunmen tried to assassinate him while he was drinking tea in a cafe, posting a photograph of himself dripping with blood from where he said the pistol bullet grazed his throat. Born in 1984 to a Syrian Muslim father and a white Protestant mother, Hamami was raised as a Christian but began to feel estranged from his upbringing as teenager before moving to Somalia. “‘I’m on a mission from God’, minus the blues music”, he wrote last week, an apparent reference to the 1980 Blues Brothers film, an American musical comedy. 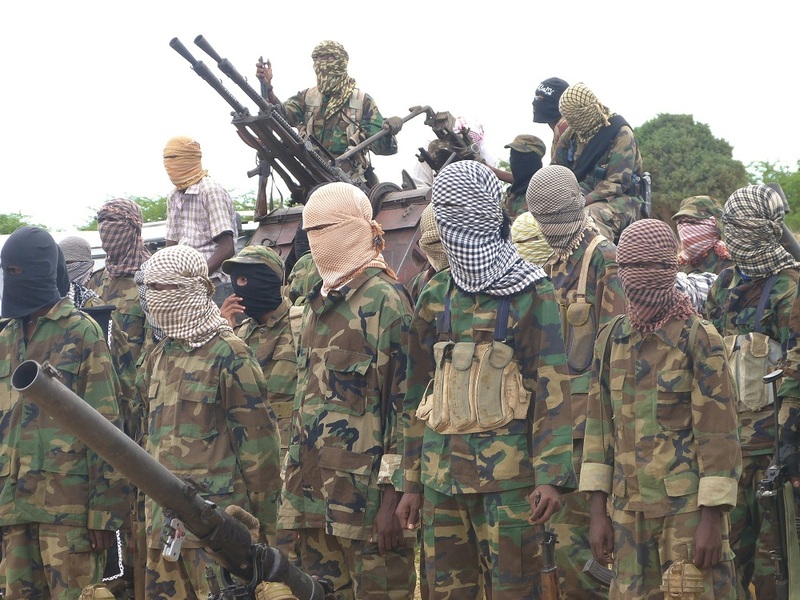 Al Shabab says they have got newly recruited fighters. Hundreds of the newly recruited fighters, mostly masked young men were seen matching the road between Ambareeso village and Baraawe town. 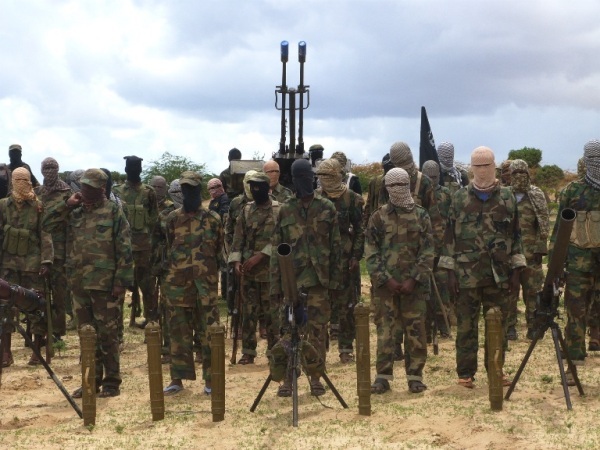 Mogadishu (RBC) Militant fighters in Somalia, Al Shabab said they have got newly recruited fighters and that they will boost up their rebellion activities against Somali government and the African Union forces [AMISOM], Al Shabab commander said. Hundreds of the newly recruited fighters, mostly masked young men were seen matching the road between Ambareeso village and Baraawe town, the only Al Shabab’s stronghold in Middle Shabelle region, 350 km south of Somalia capital..
Al Shabab’s Middle Shabelle region commander Mohamed abu Cabdalla who addressed the young fighters vowed they will destroy the bases of AMISOM and Somali government forces. “You are the braves of the Mujahidin, your duty is to liberate the land of Muslims from the christian invaders.” abu Cabdalla told the young masked men holding AK-47, Rocket Propelled Grenades (RPGs), Mortars, Anti Aircraft guns. 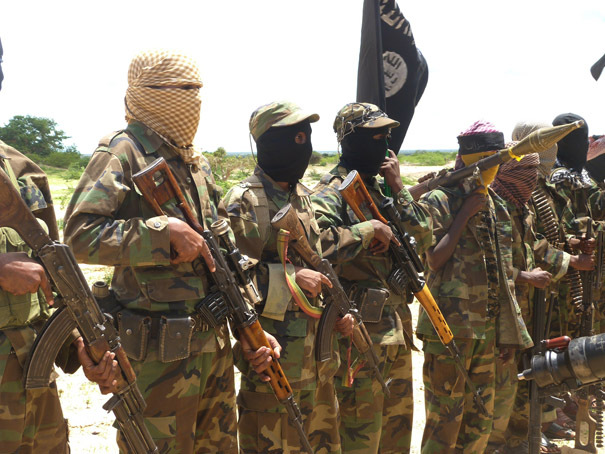 Al Shabab says they have got newly recruited fighters. Hundreds of trained fighters were seen marching near Baraawe town. A pro-Al Shabab cleric Sheikh Jama Abdisalam said the new fighters have shown their willingness to fight for the religion and to return back what he called as “Al Shabab’s lost power” in Somalia. “We are waiting for you as we look how you are committed to regain the power of the Xarakah [group] in this land.” Sheikh Abdisalam said. He also warned them to avoid internal conflict referring to the recent foiled kill attempt against Omar Hamammi, American-born Al Shabab member attacked by other Al Shabab rival group in Baay region of southern Somalia. Hamammi posted pictures of showing his injured wounds and blamed the attack for Al Shabab leaders. Hundreds of masked men holding AK47, RPGs and mortars marched the road that links between Ambareeso village and Baraawe town, 350 km south of Somalia capital. Al Shabab’s Sunday maneuver in Baraawe town becomes the biggest military show up in southern Somalia since the group lost large swathes of land in southern Somalia following heavy military assault by the government forces backed by the African Union mission. 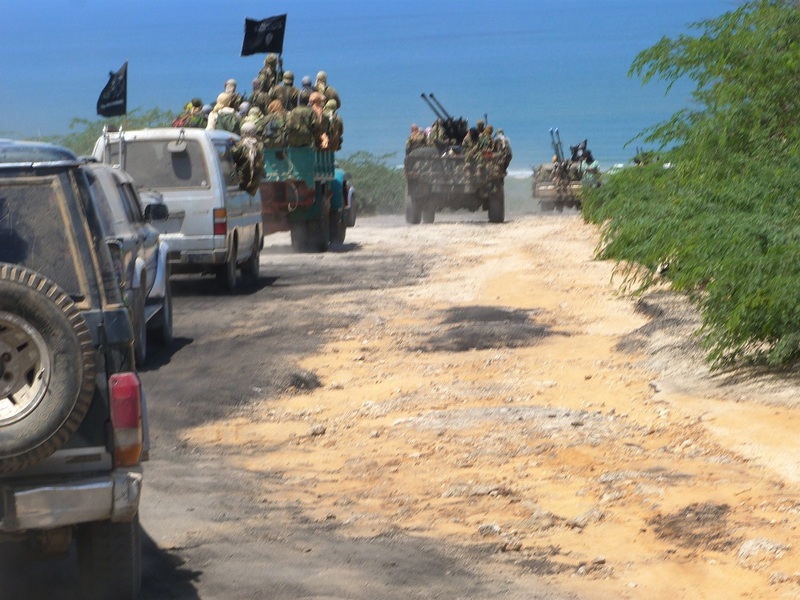 Hundreds of the newly recruited fighters, mostly masked young men were seen matching the road between Ambareeso village and Baraawe town, the only Al Shabab’s stronghold in Middle Shabelle region. The show up came as Somalia government warned three weeks ago that the extremist group was gathering a lured teenagers to fight for them. 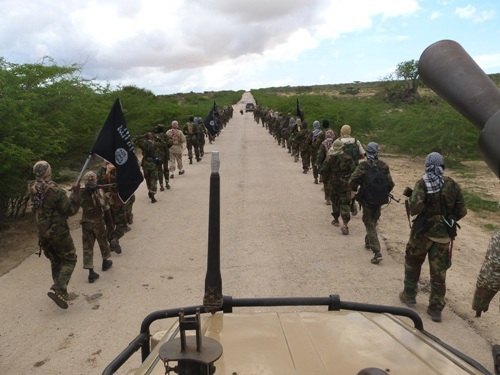 Al Shabab in Somalia shows military power after receiving newly recruited fighters.